Details of the FCC application can be found here. ESP32-WROOM-32U is a powerful, generic Wi-Fi+BT+BLE MCU module that targets a wide variety of applications, ranging from low-power sensor networks to the most demanding tasks, such as voice encoding, music streaming and MP3 decoding. ESP32-WROOM-32U integrates a U.FL connector. At the core of this module is the ESP32-D0WD chip. ESP32 integrates Wi-Fi (2.4 GHz band) and Bluetooth 4.2 solutions on a single chip, along with dual high performance cores and many other versatile peripherals. Powered by 40 nm technology, ESP32 provides a robust, highly integrated platform to meet the continuous demands for efficient power usage, compact design, security, high performance, and reliability. 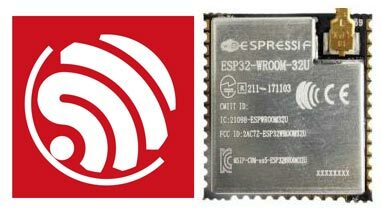 Espressif provides the basic hardware and software resources that empowers application developers to build their ideas around the ESP32 series hardware. The software development framework provided by Espressif is intended for rapidly developing Internetof-Things (IoT) applications, with Wi-Fi, Bluetooth, flexible power management and other advanced system features. The RF frequency range is 2.412 GHz to 2.484 GHz. The maximum RF transmit power is 21.5 dbm. Espressif is really going after this IOT market and giving the public truly FCC approved modules and not just labeled with fake FCC logos. https://apps.fcc.gov/eas/GetApplicationAttachment.html?id=3717247 you can see the antenna connector on this photo on the FCC website. Guess your session at the FCC expires and the link does not work, basically the image I was linking is the same one used for this article that shows the antenna connector.